Please forgive me for my absenteeism, we had a baby on November 7, 2011, and she is my overall priority. I will continue to try to get posts up and hopefully I will stop neglecting the fabulous blog. Thanks! I am just trying to enjoy beer responsibly, and hope others enjoy the same that I do. I went from living in Central PA, to downtown Baltimore, and now I moved back to Central PA/bought a house/got married. I still work in Baltimore, which allows me to be open to obtaining the precious beer that I love, but it introduces me to others that cannot be found in Baltimore. I am now in search of my new home bar and perfecting my new hobby- homebrewing. Beer Paintings - Paying tribute to fine beer with fine art. Want to work in the business? Here's your shot! The Holy Grail of Beer? Just a reminder....check out DrinkBelgianBeer.com! How do you pronounce MacTarnahan's? A minimum price for alcohol? We tried that and it didn't work. 2011 CANFEST Blogger Contest Voting! The Early Bird gets the $*@T scared out of Him. Check out the new Baltimore Beer Guy! Great ways to start the day! Market Correction Brewing for Light Lagers? Live in Oslo and need malt? If you feel you have something to say about anything (I would prefer it's about beer)- send it over to me and if it is half appropriate you will be posted. I love going to new and different places. I love finding a neat little beer bar. Sometimes you get lucky and walk into a place that has 8 awesome taps, other times it is all BMC. For me, I have started preparing before I get to my destination to know where I might want to go. But for those times when you show up, what can you do? 1. Think Local. Is there a local brewery or brewpub? Stop in and have a drink. Chat up the staff. Most will know the local beer bars and where their beer is located. 2. Stay away from chain restaurants. I always try to stay local when eating, and I have yet to find a chain that has a good selection of quality craft brews. The big boys pay for this spot on the taps. 3. It’s all in the Apps. 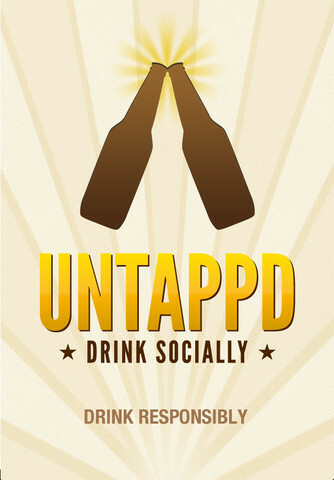 Untappd- If you aren’t a part of it, it is a beer social network that allows you to log your beers, where you drank them and view what others are drinking. This becomes useful when you use the “Nearby” feature. You can see what other users are drinking near you, and many times where (the bar)- showing what is on tap at the places. RateBeer Places app- RateBeer is a website that allows users to rate and review beer. Its app allows for you to search for a bar/brewery/brewpub using the GPS on your phone. Very convenient, and since it is a beer ratings app they bars have a star rating. BeerCloud- BeerCloud is another app that allows for user input on bars and become “fans” of the bar. I don’t think this is as good of a resource as Untappd or Ratebeer Places, but it is another that could be useful. Foursquare- This is good for letting you know that people are there, but it not being a beer app, there isn’t much of a filter on whether it is a good or bad beer place. Overall, I like to preplan for my trips, but when you are there, you never know what info you want or need. 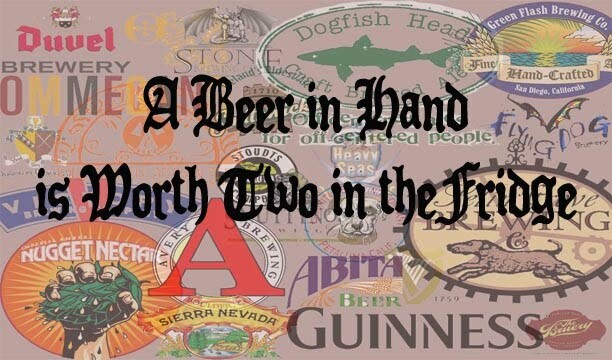 Hopefully these tips can help direct you to good beer in the future.